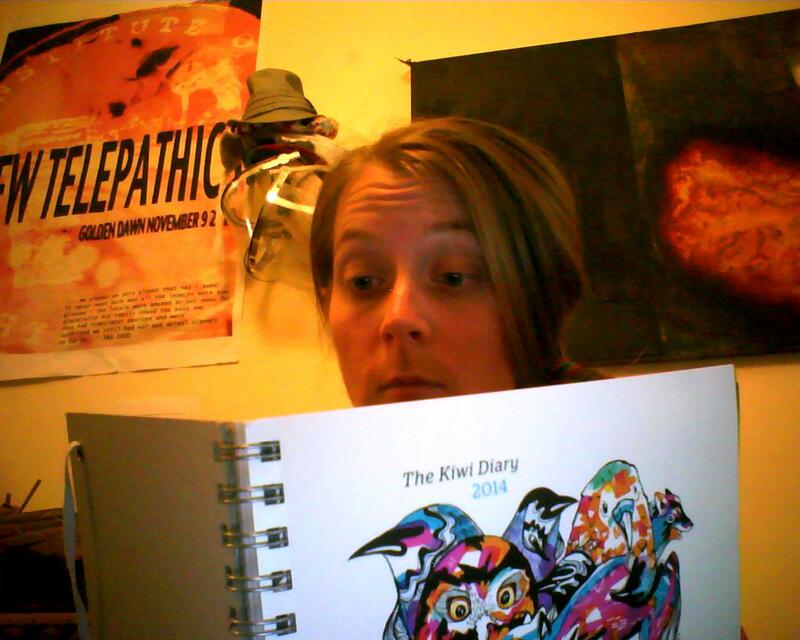 Today I received my copy of The Kiwi Diary 2014 – which I’ve looking forward to for weeks. It’s a diary (duh, hence the name), but it’s also full of NZ art, poetry, prose, and other bits and bobs. Two of my poems, Fetching Coal and Climbing can be found amongst its colourful pages (March 30th and July 6th to be precise). Very cool. That’s great, Immi. I’ll look out for it.